"For all your rhythmic needs"
Over the last 20 + years Tim has played with many of pop music's biggest names (Will Young, Divine Comedy, Noel Gallagher) and alongside them, some of its smallest. He has performed on countless TV themes and soundtracks, and has held the drum chair on Elton John's West End show 'Billy Elliot: The Musical' since 2005. 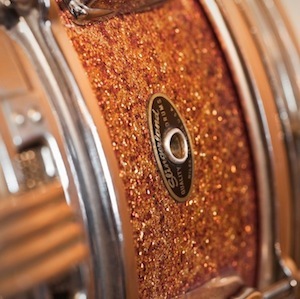 Tim is passionate about drums and their sound, and is a particular fan of the warm and sympathetic tonal qualities that one gets from old vintage drums. He has a great collection of kits, snares and cymbals from the 1960s and 1970s that record beautifully and sound fabulous... and of course a few modern ones too. Stylistically versatile, his discography and CV spans indie and rock to jazz funk, classical to soul and most things in between... and he is always eager to make sure that the kit choice and style of playing match each other well. Using his remote facility, you will be guaranteed a top quality drum track, usually in less time than it would take to set up and mic a kit!